My sister introduced me to these quick marinated tomatoes. They are super easy to make. When you start eating one, you can't stop. 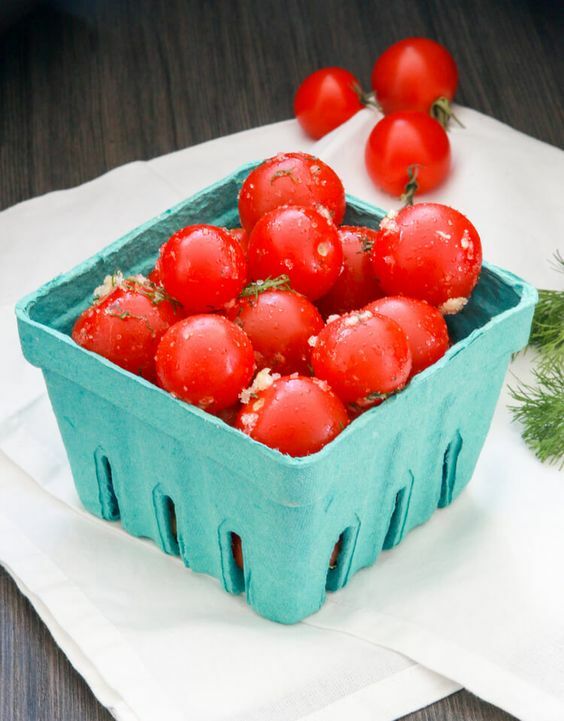 Who knew tomatoes can be so addicting? They help to regulate your blood pressure due to the potassium content in them. Make sure everyone in your party eats them though, since there is garlic added to the marinate :). To get rid of the garlic breath or just yucky breath in general, eat a slice of lemon. Combine ingredients together into a bowl. Let it marinate for at least an hour.